Students often ask me whether it is better to write their own self hypnosis scripts, or, if they should rather use the ones provided on this, or other reputable websites. My answer is that it really depends on what you are using the self hypnosis scripts for. If you are a beginner, learning induction, deepening and other basics, I recommend using what is time-tested, easy , available and proven to work. In that case, follow the self hypnosis instructions provided by experienced teachers. But when it comes to specific goals that you want to accomplish or personal problems you want to solve. I highly recommend writing a well-thought out, personalized self hypnosis script that you can record and use repetitively to reach your specific goal quicker and easier. Remember that belief plays a critical role in your ability to harness the power of mind -- which is really what self hypnosis is about. Having worked with some of the highest achievers in a variety of industries, I can tell you that success is comes easier when you break your big goals into smaller ones that you can imagine yourself achieving, rather than visualizing overly ambitious outcomes that "don't feel true," regardless of how many times you replay or repeat them to yourself. You are currently out of work and in a lot of debt. It would not be very realistic to BEGIN by programming yourself to be a multimillionaire on your own island in the Caribbean…it is not that you could never achieve that, but given your starting point, concentrating on that vision may seem to your subconscious more like a fantasy than a real goal. It is typically best to start with smaller achievable goals you can more easily believe, achievements that put you on track to your larger more ambitious outcomes. Success breeds success. So perhaps a more appropriate goal, in the case just outlined, might be to get a good-paying job that you enjoy. After you have accomplished a rewarding job, you can set another benchmark. Perhaps it is a savings goal or paying down debt. Once you reach that first goal, you would write a new self hypnosis script for the next benchmark, for your journey to financial freedom. Remember remembering to add words of acknowledgement and gratitude for the progress you have made. 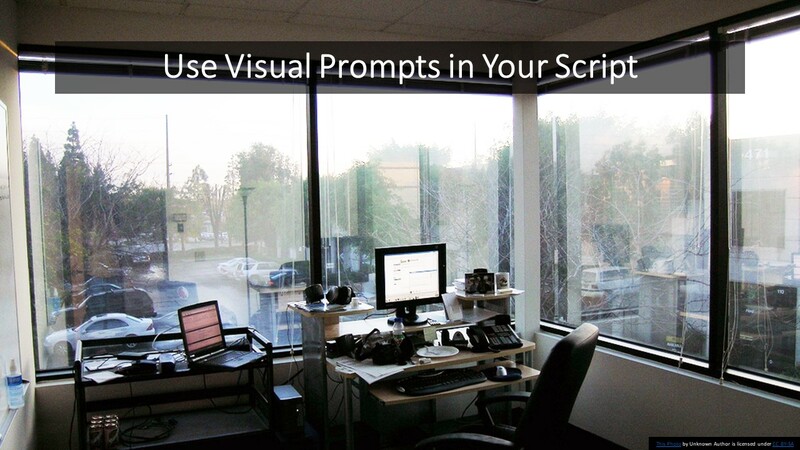 If you are writing a self hypnosis script for yourself, include cues for visualization, such as, "I see myself in brightly lit office with big windows. I am sitting at my desk with a smile on my face, feeling deeply grateful for this great job that I enjoy. There is an envelope in front of me with my name on it. It is my paycheck. I open it and take a look...."
This type of scripting will naturally causes you to visualize the outcome you are "programming" for. 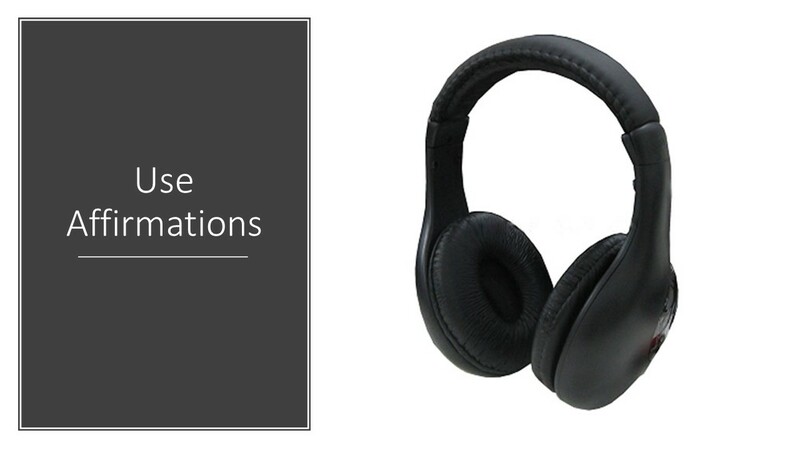 When using auto-suggestion in hypnosis, it is important to be positive, specific, realistic and repetitive. You should also use present tense verbs such as I am or I feel. If you are unfamiliar with writing affirmations and how to write them, review this articles on writing affirmations. I also recommend reviewing the self hypnosis code word technique. Feelings can infuse your goals with energy and motivation. You can energize your self hypnosis scripts by telling yourself to step into the desired outcome - whatever it is - and feel what it feels like to accomplish this goal. Feel the gratitude well up inside of you. ... feel a sense of accomplishment knowing you did this and you have only just begun. What else are you capable of?" Remember if you program yourself to be a certain way or do a certain thing, you need to follow through with action and perseverance. Otherwise it is just like making a promise to yourself that you never intend to keep. In addition to using these self hypnosis techniques at deeper, quieter levels of mind, you can also use them as a powerful mind tool to reinforce your programming wide awake. 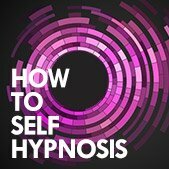 You may also want to check out this "How to Do Self Hypnosis" Audio Program, available for immediate download.